LandCorp are holding an induction evening to consolidate the interest shown by many wanting to join the first replicable Baugruppen demonstration project in Western Australia. 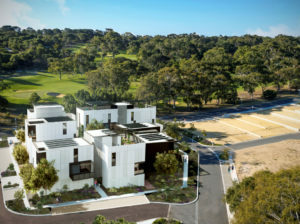 Baugruppen is the term used to describe the process that enables individuals to group together to become their own developer, delivering a custom-built and individually designed home. The proposed Baugruppen at WGV will target a 15% saving on market value by removing developer’s profit, agent’s fees and marketing. This is the second event held for the Baugruppen at WGV and LandCorp are now keen to follow up with those who have already shown interest in becoming owner-occupiers who also act as developers. The process is similar to “house and land” process, buying land and engaging a builder. The building group will buy land together and engage a builder to construct their customised and individually owned homes. Each building group member will invest approximately 30% of the “cost” of their new home. On completion, the homes will be strata titled and transferred to each participant on payment of the balance owing. Baugruppen at WGV is focussing on quality, community and sustainability and is being driven by UWA Professor of Architecture Professor Geoffrey London, with support from spaceagency, Builtform Projects, Josh Byrne & Associates and LandCorp. This induction event will give people the opportunity to choose their preferred location of architecturally designed home within the building proposed for the site. Location: Fibonacci Centre, 2/19 Blinco Street, Fremantle, Western Australia. To register to attend the information evening and to view the options for each of the home types available visit the Baugruppen website.